What's better than one inflatable slide? Two inflatable slides. 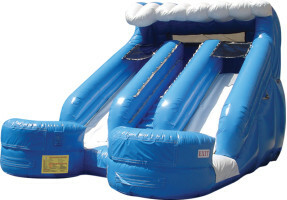 Our Double Splash water slide allows two party guests to experience the thrill of racing down the slide and splashing into the bottom pool at the same time. That means all of your guests will have twice the fun.